Dermatomyositis (DM) is a common idiopathic inflammatory myopathy. The pathogenesis is considered to be microangiopathy affecting skin and muscle. The cutaneous manifestations of DM are the most important aspect of this disease, and their correct evaluation is important for early diagnosis. The skin signs are various: Some are pathognomonic or highly characteristic, and others are compatible with DM. Recently, DM has been categorized into several disease subsets based on the various autoantibodies present in patients. Sometimes, characteristic cutaneous manifestations are strongly associated with the presence of specific autoantibodies. 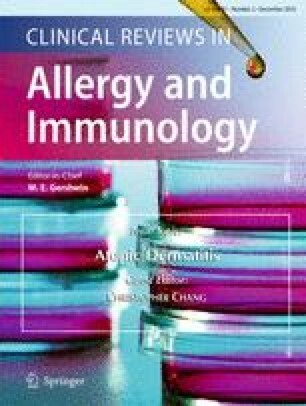 For example, anti-Mi-2 antibody is associated with the classic features of DM, including heliotrope rash, Gottron’s papules, the V-neck sign, the shawl sign, cuticular overgrowth, and photosensitivity. Frequent cutaneous features in anti-transcriptional intermediary factor 1 gamma (TIF1γ)-positive patients are diffuse photoerythema, including “dusky red face,” while skin ulcerations, palmar papules (inverse Gottron), diffuse hair loss, panniculitis, and oral pain and/or ulcers are sometimes associated with anti-melanoma differentiation-associated gene 5 product (MDA5) antibody. Here, we review important cutaneous manifestations seen in patients with DM, and we examine the relationship between the skin changes and myositis-associated autoantibodies. Correct evaluation of cutaneous manifestations and myositis-associated autoantibodies should help the clinician in the early diagnosis of DM, for a quick recognition of cutaneous signs that may be the symptom of onset before muscle inflammation. This study was supported by a grant from the Ministry of Education, Culture, Sports, Science and Technology of Japan (26461656 to YM) and a grant from the Ministry of Health, Labour and Welfare of Japan (to YM). Informed consent was obtained from all individual participants in the study.